Josef Frank (1885–1967) ranks among Europe’s most significant architects of the twentieth century, and his designs for furniture and textiles have made him one of the eminent figures of modernist interior design. 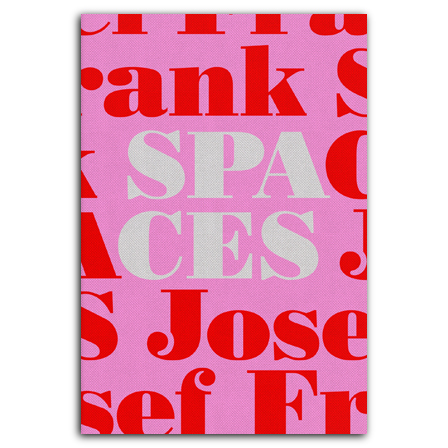 Though there have been many studies of Frank’s architecture previously, Josef Frank—Spaces is the first comprehensive book to look specifically at Frank’s single-family houses. Architects Mikael Bergquist and Olof Michelsen explore the evolution of Frank’s designs for single-family homes over the years, and they investigate the influences that shaped his work, such as Adolf Loos’s “spatial plan” concept, Le Corbusier’s ideas, and Hermann Muthesius’s groundbreaking book The English House. The authors also look at Frank’s architectural concepts of movement and his use of stairs in residential buildings. The book also includes an in-depth examination of six of Frank’s houses, including both built projects—Villas Claeson and Wehtje in Falsterbo, Sweden, and Villa Beer in Vienna—and unrealized ones—House for Vienna XIII, House MS in Los Angeles, and Fantasy House 9 (Accidental House). This section includes images and plans of each of the houses and a close analysis of their specific characteristics. A complete catalog of Frank’s single-family houses rounds out the book. Featuring new material and many previously unpublished images and plans, Josef Frank—Spaces will be the authoritative reference to this renowned architect’s contributions to the design of residential dwellings. is an architect running his own architectural firm in Stockholm. He also writes on architecture and has published several books on Josef Frank before. Ha has been commissioned with the restoration of Frank's Villa Carlsten in Falsterbo, Sweden, in 2016–18. is an architect running his own studio in Stockholm. He has published several books on Josef Frank before.